blog.Habrador.com: Why is Chess so popular? Why is Chess so popular? Of all the games we play today, which games will we still play in 100 years? Which games will we play in 1000 years from now? To answer the question, I decided to find out why chess is so popular. I learned how to play chess when I was maybe seven years old, but I've never been really interested in the game. Instead I played a lot of computer games. The difference between those computer games and chess is that a computer game lasts for a few years (if the developers are lucky), while people have been playing chess for hundreds of years. To find out why chess never gets old, I decided to try a new tactic which is called reasoning from first principles. It's a strategy I found when I wrote a book about the entrepreneur Elon Musk, who is using the strategy. This is how the strategy reasoning from first principles works. When you want to find the solution to a problem, you have two choices. The first is reasoning from analogy (experience), which is the fastest way but will not always give you an accurate answer. The other is reasoning from first principles, which is slower but will give you a more accurate answer. Based on experience, you can say that chess never gets old because it's easy to play if you are two people because almost everyone has a chess board laying around, or whatever you think. But if you reason from first principles, you have to dig to the bottom of the problem. To get to the bottom of the problem, I decided to read the book The Immortal Game - A history of chess by David Shenk. What I learned from the book was that we don't know for certain when people began to play chess. 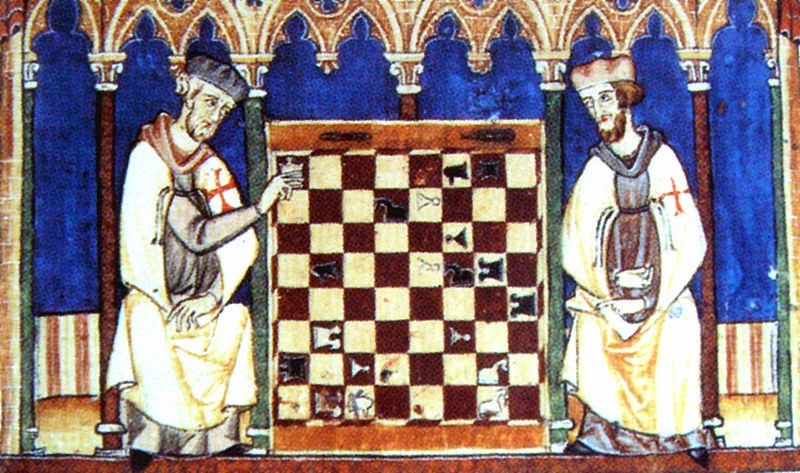 What the author has found is that we began to play some kind of chess about 1400 years ago. The rules have changed during these 1400 years (it's said the reason why the queen is so powerful was because the powerful Isabella I of Spain wanted the piece to reflect herself) but the basic game is the same. 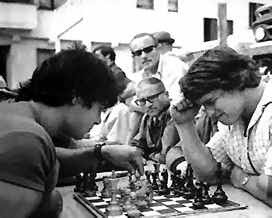 Other celebrities who are known chess players include Benjamin Franklin and Arnold Schwarzenegger, who had a permanent chess table in his movie set trailer. You need a strong psychology to play chess. "The game is often as much about demolishing your opponent's will and self-esteem as it is about implementing a superior strategy." It's easy to learn how to play chess. "The pieces and moves are elementary enough for any five-year-old to quickly soak up." You always play a new game of chess. "The board combinations are so vast that all the possible chess games could never be played - or even known - by a single person." You can't bluff like you can in a poker game because nothing is hidden and you can't win because you're lucky. "In a critical departure from previous board games from the region, these games contained no dice or other instruments of chance. Skill alone determined the outcome." There are several then-popular games that didn't survive. One example is the Irish board game fidchell, and another is a game played by Vikings called hnefatafl. To this list of then-popular games, we will in the future probably add now-poplar games, like Angry Birds, because they don't have the same basic principles as chess has. Update! A few years later I read the book A theory of fun for game design. It argues that chess is fun because each new game of chess is a new puzzle to solve. If you play chess against a physical person then each new game is a new puzzle to solve, so chess consists of an endless amount of puzzles. Also, each new game of chess is similar to all other games of chess. This is yet again why chess is popular. Each new game of chess is a new puzzle, but the difference between each new game of chess is not too different, and we humans don't like to solve puzzles that are too different from each other.